We were instantly drawn in by the picture perfect lantern and candlelit Song Thu Bon River and we were amazed by the huge crowds and the festival atmosphere. 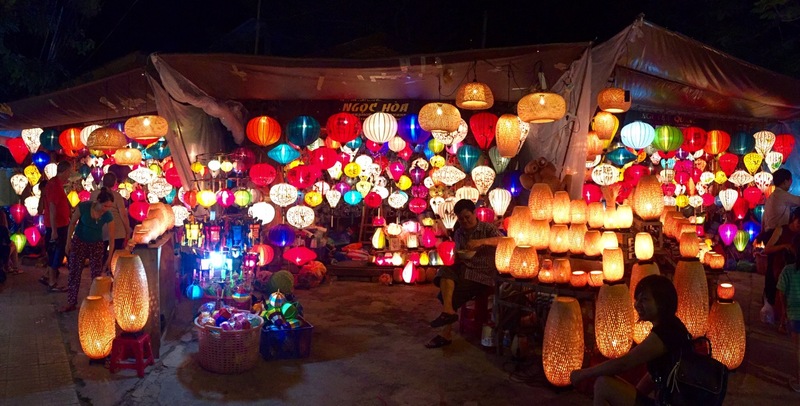 The ancient town is closed to motorised traffic on the night of the festival and we spent the evening wandering around Hoi An and the banks of its river. The Japanese Covered Bridge is synonymous with the ancient UNESCO town. 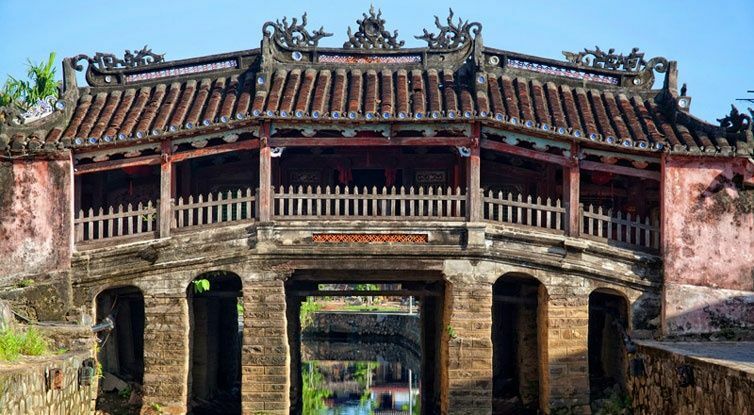 We stood on the crowded wooden platform across from the bridge and admired the flickering lanterns illuminating the river and the bridge above. 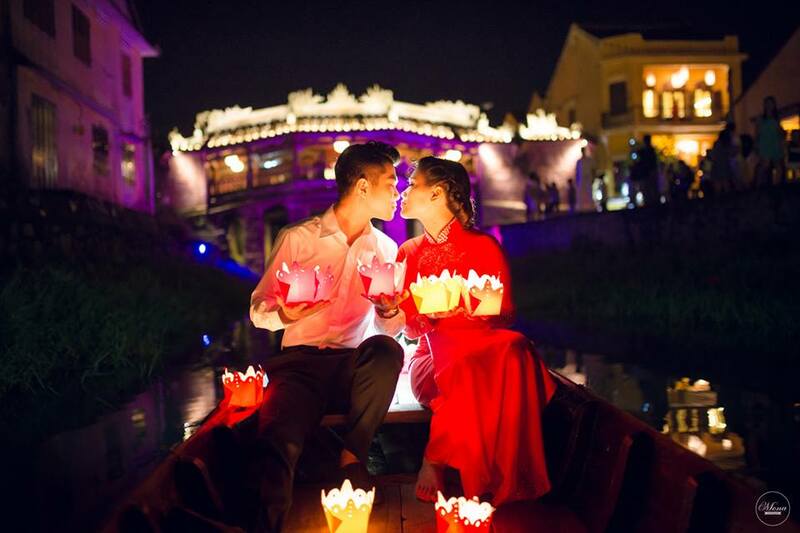 Romance is most definitely in the air at the Lantern Festival and it was so lovely to see the newly married couples pass by in little sampan boats ready to release their lanterns in the hopes of bringing luck to their marriage. The festival is full of hope and beauty and there’s no place where this is more evident than the Japanese Bridge. 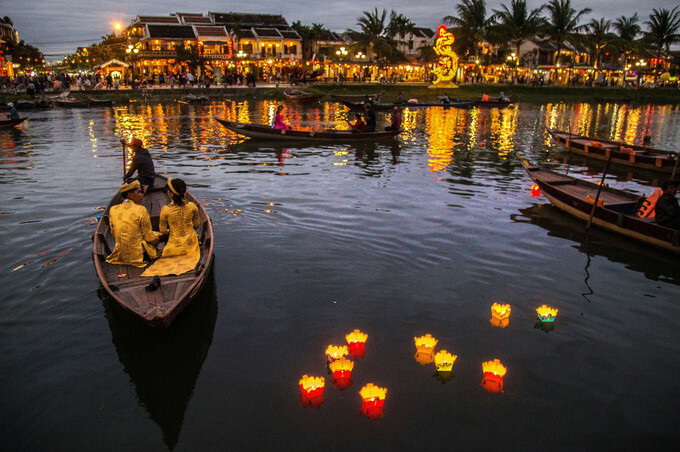 The river banks are lined with lantern sellers, pop up street food cafes, souvenir stalls and ancient game playing locals. The food was excellent and cheap, the people watching was fascinating and we bought many, many souvenirs to remind us of our night at the Lantern Festival. 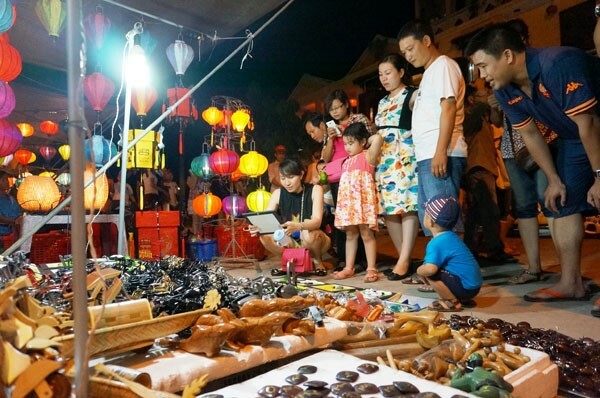 We watched the theatre performers, listened to the traditional music and poetry recitals and mingled with the locals and tourists who were in Hoi An that evening. It felt like we had been transported back in time and were in a different world! From the moment we got close to the hub of the evening’s action, the Cau An Hoi Bridge, we were accosted by lantern selling locals. Releasing a lantern on the river is said to bring good fortune and love and we were happy to indulge! 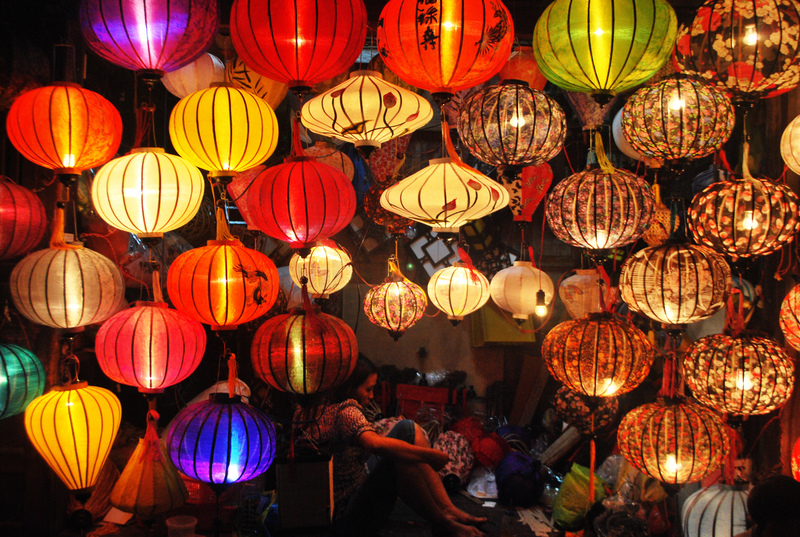 The lanterns are identical with coloured cardboard housing a burning candle: the going price is 5,000 VND and we set free a sufficient number of lanterns to bring us good luck well into the next millennium! Did I mention how much I love candles? The sellers provide super long poles to lower the lanterns into the river and releasing our lanterns was the absolute highlight of our evening! 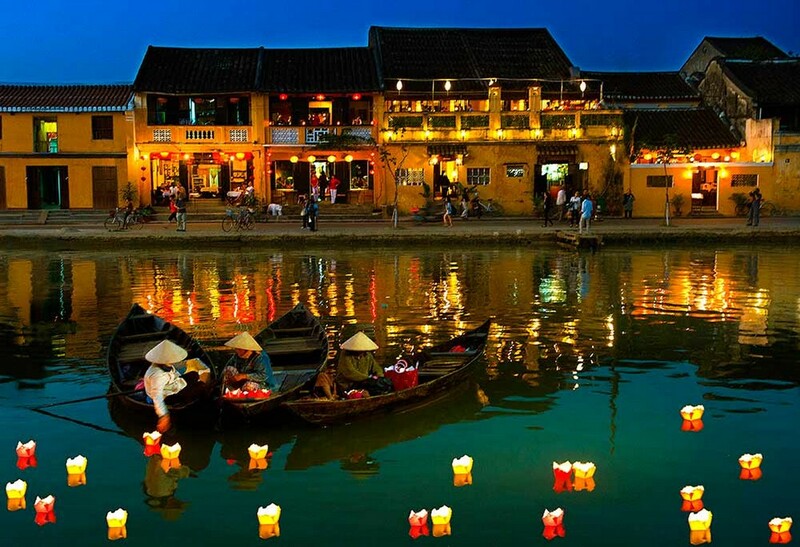 The atmosphere is fantastic in the evenings in Hoi An and the Lantern festival takes it to another level! Locals far outnumber the tourists as many flock to pay tribute to their ancestors under the light of the silver moon. The streets and bridges are filled with foot traffic and the stalls, restaurants and souvenir shops are crowded. Add poetry readers, dramatic theatrical performances and music into the mix and it results in a fantastic evening!